1 Sergio Caucao, Gabriel Gatica, Ricardo Oyarzúa; A posteriori error analysis of a fully-mixed formulation for the Navier-Stokes/Darcy coupled problem with nonlinear viscosity. Computer Methods in Applied Mechanics and Engineering, vol. 315, pp. 943-971, (2017). 2 Jesús Palacián, Claudio Vidal, Jhon Vidarte, Patricia Yanguas; Periodic solutions and KAM tori in a triaxial potential. SIAM Journal on Applied Dynamical Systems, vol. 16, 1, pp.159–187, (2017). 3 Alan Santos, Marcelo Marchesin, Ernesto Pérez-Chavela, Claudio Vidal;Continuation and bifurcations of concave central configurations in the four and five body-problems for homogeneous force laws. Journal of Mathematical Analysis and Applications, vol. 446. 2, pp. 1743–1768, (2017). 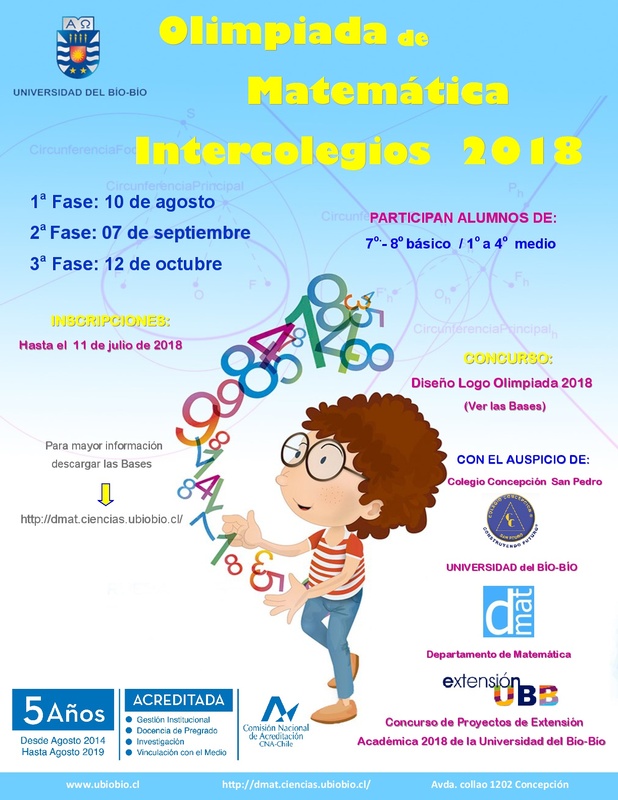 4 Eligio Colmenares, Gabriel Gatica, Ricardo Oyarzúa; An augmented fully-mixed finite element method for the stationary Boussinesq problem. Calcolo, vol. 54, 1, pp. 167-205, (2017). 5 Alfredo Bermúdez, Luc Dupré, Dolores Gómez, Pablo Venegas; Electromagnetic computations with Preisach hysteresis model. Finite Elements in Analysis and Design, vol. 126, pp. 65-74, (2017). 6 Jessika Camaño, Ricardo Oyarzúa, Giordano Tierra; Analysis of an augmented mixed-FEM for the Navier-Stokes problem. Mathematics of Computation, vol. 86, 304, pp. 589-615, (2017). 7 Lúcia Brandão Dias, Joaquín Delgado, Claudio Vidal; Dynamics and chaos in the elliptic isosceles restricted three-body problem with collision. Journal of Dynamics and Differential Equations, vol. 29, 1, pp. 259-288, (2017). 8 Marco Discacciati, Ricardo Oyarzúa; A conforming mixed finite element method for the Navier-Stokes/Darcy coupled problem. Numerische Mathematik, vol. 135, no. 2, pp. 571-606, (2017). 9 Verónica Anaya, David Mora, Carlos Reales, Ricardo Ruiz-Baier; Finite element methods for a stream-function – vorticity formulation of the axisymmetric Brinkman equations. Journal of Scientific Computing, vol. 71, 1, pp. 348-364, (2017). 10 J. Carmona, Dante Carrasco-Olivera, Bernardo San Martín; On the C^1 robust transitivity of the geometric Lorenz attractor. Journal of Differential Equations, vol. 152, 1, pp. 5928-5938, (2017). 11 Robert Hakl, Manuel Zamora; Periodic solutions to second-order indefinite singular equations. Journal of Differential Equations, vol. 263, 1, pp. 451-469, (2017). 12 Alfonso Artigue, Dante Carrasco-Olivera, I. Monteverde; Polynomial entropy and expansivity. Acta Mathematica Hungarica, vol. 262, 12, pp. 140-149, (2017). 13 Manuel Zamora; A note on the periodic solutions of a Mathieu-Duffing type equations. Mathematische Nachrichten, vol. 290, 7, pp. 1113-1118, (2017). 14 Ricardo Oyarzúa, Paulo Zuñiga; Analysis of a conforming finite element method for the Boussinesq problem with temperature-dependent parameters. Journal of Computational and Applied Mathematics, vol. 323, pp. 71-94, (2017). 15 Lourenco Beirao da Veiga, David Mora, Gonzalo Rivera, Rodolfo Rodríguez; A virtual element method for the acoustic vibration problem. Numerische Mathematik, vol. 136, 3, pp. 725-763, (2017). 16 Salomón Rebollo; Poincaré-Pontryagin-Melnikov functions for a type of perturbed degenerate Hamiltonian equations. Qualitative Theory of Dynamical Systems, vol. 16, 1, pp. 149–174, (2017). 17 Marcio Ferreira, Jaime Muñoz-Rivera, Amélie Rambaud, Octavio Vera; Asymptotic behavior for a generalized micropolar thermoelastic body. Applied Mathematics Letters, vol. 73, pp. 37-43, (2017). 18 Julien Deschamps, Erwan Hingant, Romain Yvinec; Quasi steady state approximation of the small clusters in Becker-Döring equations leads to boundary conditions in the Lifshitz-Slyozov limit. Communications in Mathematical Sciences, vol. 15, 5, pp. 1353-1384, (2017). 19 Sergio Caucao, Gabriel Gatica, Ricardo Oyarzúa, Ivana Sebestova; A fully-mixed finite element method for the Navier-Stokes/Darcy coupled problem with nonlinear viscosity. Journal of Numerical Mathematics, vol. 25, 2, pp. 55-88, (2017). 20 Jessika Camaño, Gabriel Gatica, Ricardo Oyarzúa, Ricardo Ruiz-Baier; An augmented stress-based mixed finite element method for the steady state Navier-Stokes equations with nonlinear viscosity. Numerical Methods for Partial Differential Equations, vol. 33, 5, pp. 1692-1725, (2017). 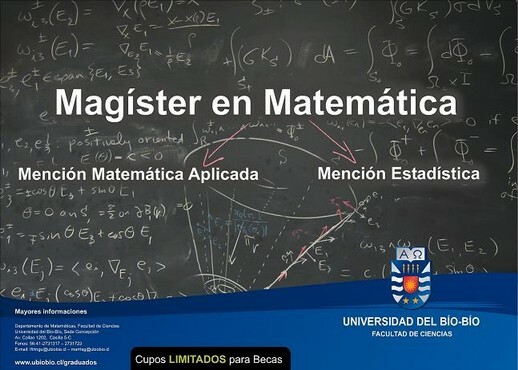 21 Eligio Colmenares, Gabriel Gatica, Ricardo Oyarzúa; A posteriori error analysis of an augmented mixed-primal formulation for the stationary Boussinesq model. Calcolo, vol. 54, 3, pp. 1055-1095, (2017). 22 Erwan Hingant, Romain Yvinec; Deterministic and Stochastic Becker–Döring Equations: Past and Recent Mathematical Developments. In: Stochastic Processes, Multiscale Modeling, and Numerical Methods for Computational Cellular Biology. Editor: David Holcman. Springer International Publishing AG 2017, pp. 175-204, (2017). 23 William Echegaray, Fabián Flores-Bazán,Fernando Flores-Bazán, Eladio Ocaña; Primal or dual strong-duality in nonconvex optimization and a class of quasiconvex problems having zero duality gap. Journal of Global Optimization, vol. 69, 4, pp. 823-845, (2017). 24 Adrián Gómez, Nolbert Morales; An approximation to the minimum traveling wave for the delayed diffusive Nicholson’s blowflies equation. Mathematical Methods in the Applied Sciences, vol. 40, 15, pp. 5478-5483, (2017). 25 Dante Carrasco-Olivera, Bernardo San Martín; On the K^∗-Expansiveness of the Rovella attractor. Bulletin of the Brazilian Mathematical Society, New Series, vol. 48, pp. 649-662, (2017). 26 David Mora, Gonzalo Rivera, Rodolfo Rodríguez; A posteriori error estimates for a virtual elements method for the Steklov eigenvalue problem. Computers and Mathematics with Applications, vol. 74, 9, pp. 2172-2190, (2017). 27 Margareth Alves, Carlos Raposo, Jaime Muñoz-Rivera, Octavio Vera; Hybrid laminated Timoshenko beam. Journal of Mathematical Physics, vol. 58, 10, pp. 1-11, (2017). 28 Esther Barrabés, Josep Cors, Claudio Vidal; Spatial collinear restricted four-body problem with repulsive Manev potential. Celestial Mechanics & Dynamical Astronomy, vol. 129, 1-2, pp. 153-176, (2017). 29 Jaime Andrade, Nestor Dávila, Ernesto Pérez-Chavela, Claudio Vidal; Dynamics and regularization of the Kepler problem on surfaces of constant curvature. Canadian Journal of Mathematics, vol. 69, 5, pp. 961-991, (2017). 30 Pedro Gamboa, Huy Hoang Nguyen, Octavio Vera, Verónica Poblete; Vibrations modeled by the standard linear model of viscoelasticity with boundary dissipation. Electronic Journal of Differential Equations, num. 163, pp. 1-10, (2017). 31 Gaël Richard, Amélie Rambaud, Jean-Paul Vila; Consistent equations for open-channel flows in the smooth turbulent regime with shearing effects. Journal of Fluid Mechanics, vol. 831, pp. 289-329, (2017). 32 Verónica Anaya, David Mora, Ricardo Ruiz-Baier; Pure vorticity formulation and Galerkin discretization for the Brinkman equations. IMA Journal of Numerical Analysis, vol. 37, 4, pp. 2020-2041, (2017). 33 Xavier Carvajal, Pedro Gamboa, Šárka Nečasova, Huy Hoang Nguyen, Octavio Vera; Asymptotic behavior of solutions to a system of Schrödinger equations. Electronic Journal of Differential Equations, num. 171, pp. 1-23 (2017). 34 Jaime Muñoz-Rivera, Juan Carlos Vega; Large time behavior for non-simple thermoelasticity with second sound. Electronic Journal of Differential Equations, num. 259, pp. 1-7 (2017). 35 Alfredo Bermúdez, Dolores Gómez, Marta Piñeiro, Pilar Salgado, Pablo Venegas; Numerical simulation of magnetization and demagnetization processes. IEEE Transactions on Magnetics, vol. 53, 12, 6202706, (2017). 36 Roberto Díaz, Octavio Vera; Asymptotic behavior for a thermoelastic problem of a microbeam with thermoelasticity of type III. Electronic Journal of Qualitative Theory of Differential Equations, num. 74, pp. 1-13, (2017).